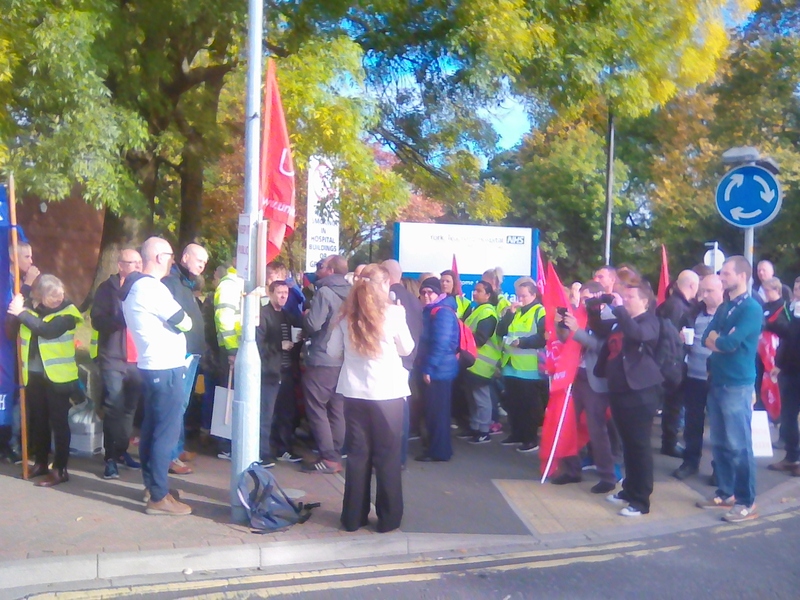 Facilities staff from York Teaching Hospital NHS Foundation Trust have been out on 48 hour strike on 27th and 28th September 2018. 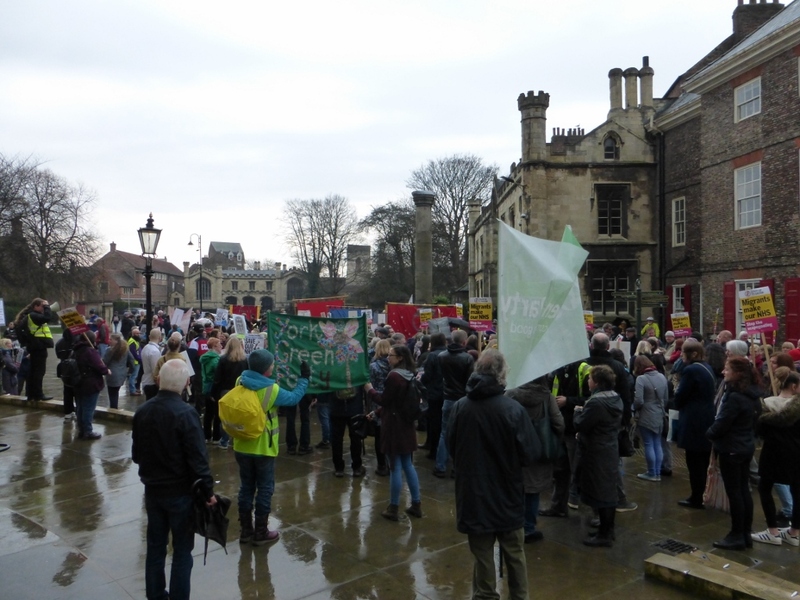 Press coverage has included BBC Look North (6:06 minutes in) and the York Press. 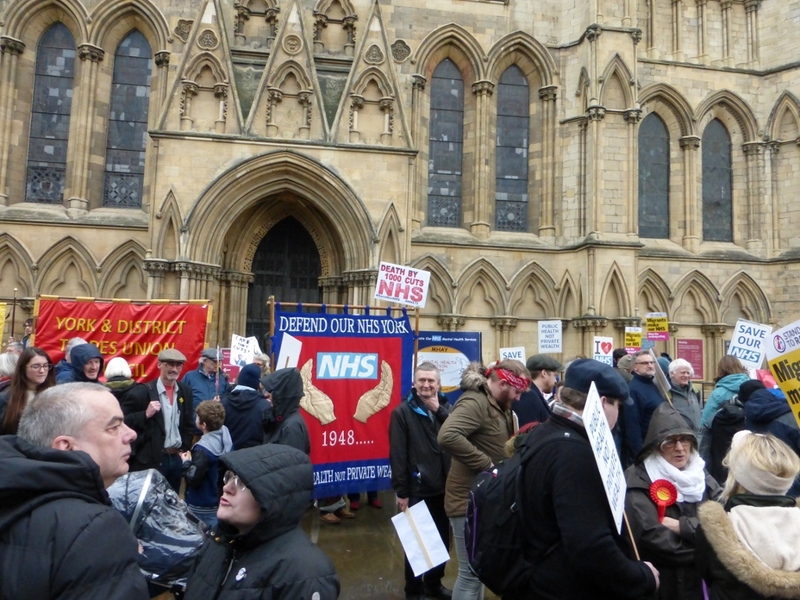 The strikes were also happening at Trust sites in Scarborough and Bridlington covered in their local media here and here. 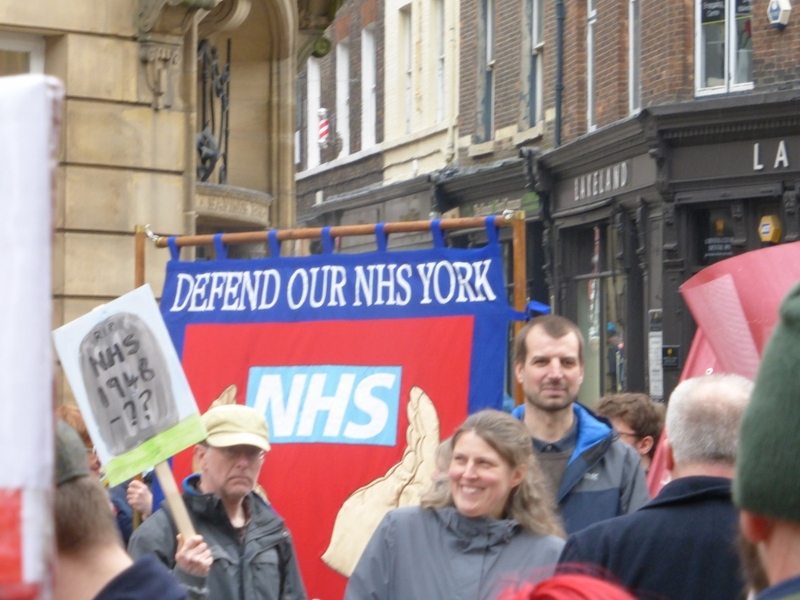 Rachael Maskell MP along with York Labour Councillors and members of Defend Our NHS York, and Mental Health Action York supported the picket lines. Pickets will run from 6am to 6pm on both Thursday and Friday at all Hospital sites. Support is obviously going to be welcome. 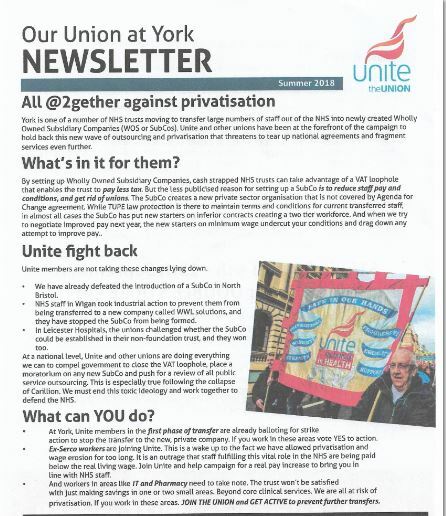 Members of the Unite Community York will be supporting the actions. 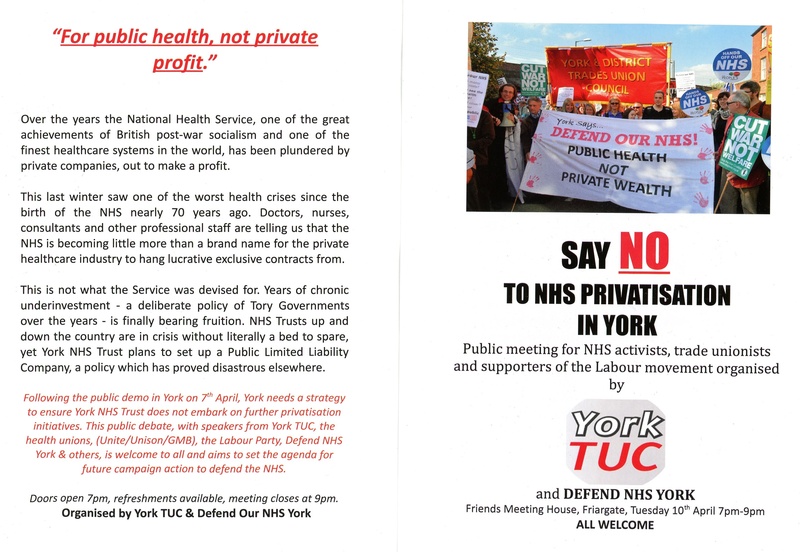 As we reported last year, the York Teaching Hospitals NHS Trust was planning on setting up a private company to run its Facilities Service employing around 2000 people. Despite representations by the general public, staff and trade unions it appears the Trust Board is intent on going ahead with this plan. 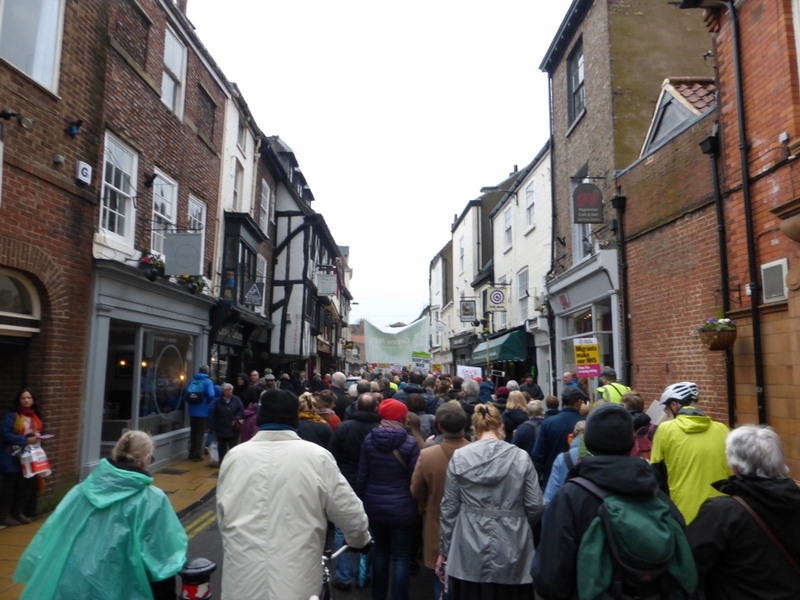 York is not the only Trust attempting this but people in Yorkshire have been rallying support against all the Trusts in the County intent on this route and many will attend a rally prior to the Trust’s Board meeting on the 25th July 2018 at 10:00 am. Protestors will be rallying from around 9:00 am onwards with most being there by 9:30 am. 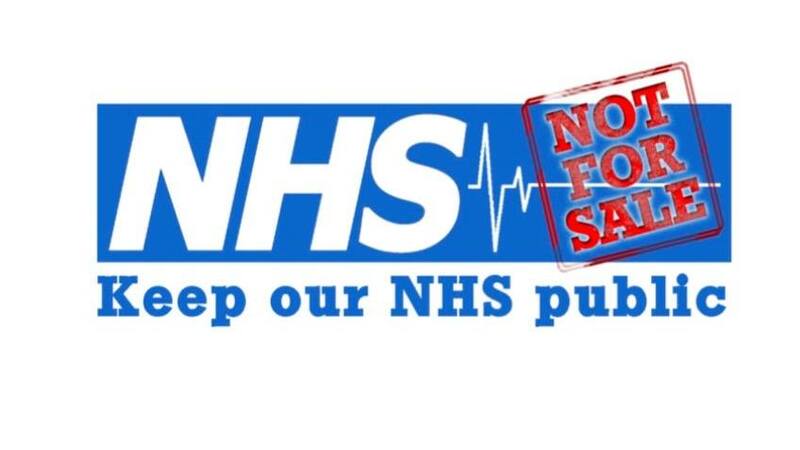 Whilst the Trust claims the staff will not be affected this cannot be true as the only reason is to save money, along with the VAT saving loophole it permits. One example is a similar organisation in North Tees & Hartlepool not paying the recently agreed pay rise to staff in the subsidiary company. Terms and conditions will be eroded, pension rights reduced and much more as cuts are made to pay increased salaries for senior managers. 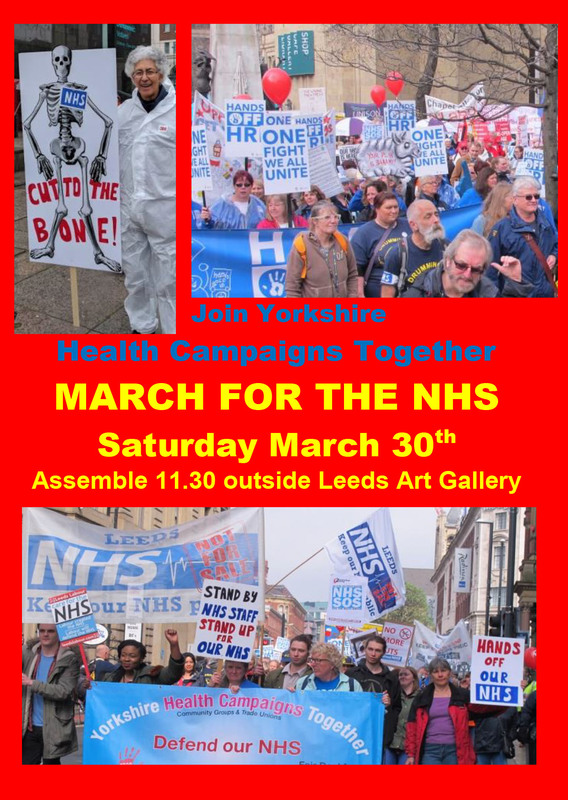 Come and join trade unionists, staff, retired staff and others in a representation of feelings against what the Trust is doing to our NHS. 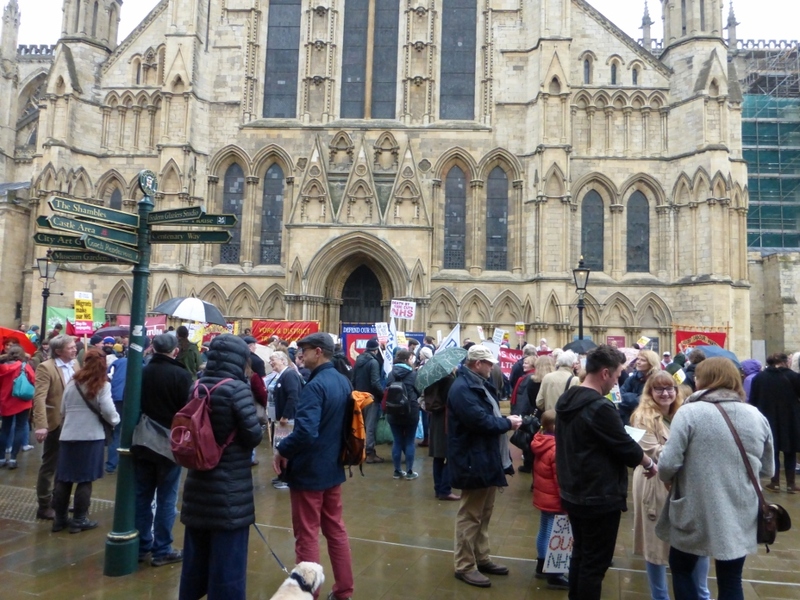 This protest is just the first of many in Yorkshire. We cannot let this happen. 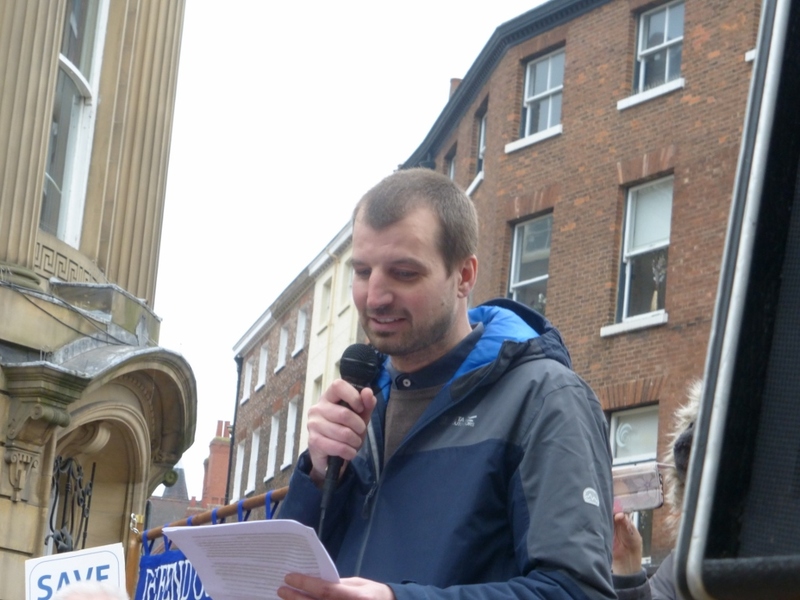 In York on the 5th July Defend Our N.H.S./Mental Health Action performed a specially written (by Anne Leonard) and produced ‘wagon’ style play, outside St Michael Le Belfrey Church opposite York Minster whilst the great and good gathered inside there, including the then Secretary of State for Health & Social Care, Jeremy Hunt. 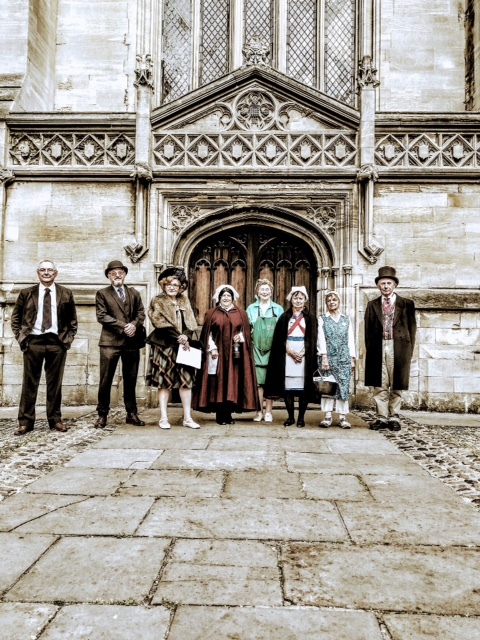 The play presented the how and why of the National Health Service being formed and the present effects of austerity and Tory policy on the service, it also included the famous speech by Aneurin Bevan. Well done to all those involved for a stirling and stirring performance – a shame that Jeremy had to miss it! Or was that why he became Foreign Secretary? 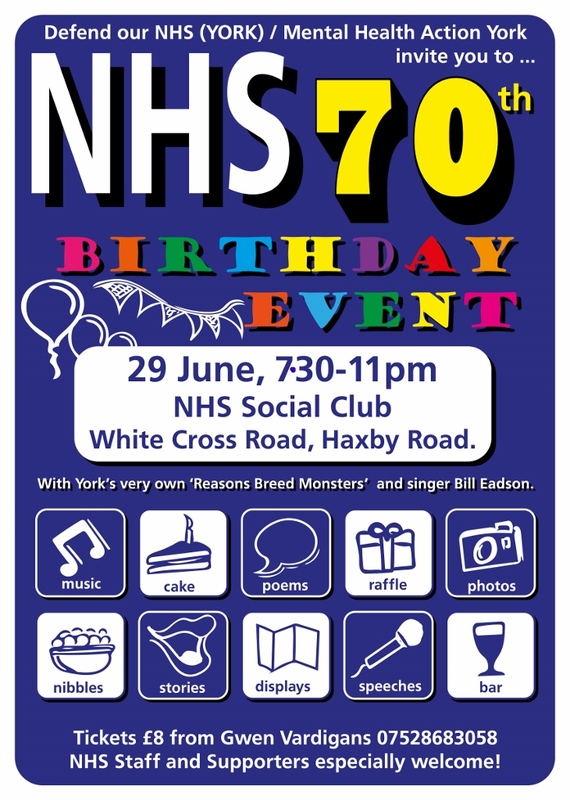 As a joint effort between Defend Our NHS York and Mental Health Action York there was a 70th birthday party for our National Health Service at the York Hospital Social Club on White Cross Road, Haxby Road, York on Friday 29th June 2018 from 7:30 until 11 pm. Much of the effort was down to Gwen Vardigans, who had brought out of retirement and from their various new homes the band “Reason Breeds Monsters” to play their particular brand of protest music, along with singer/songwriter Bill Eadson. 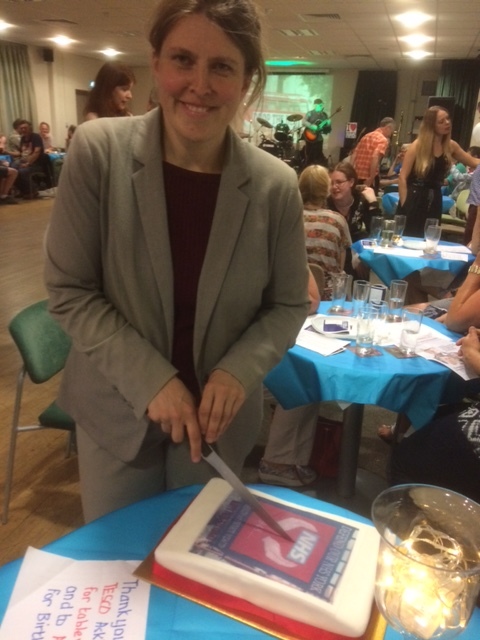 Tesco and Asda in the city had helped with providing the cakes, balloons and tablecloths. 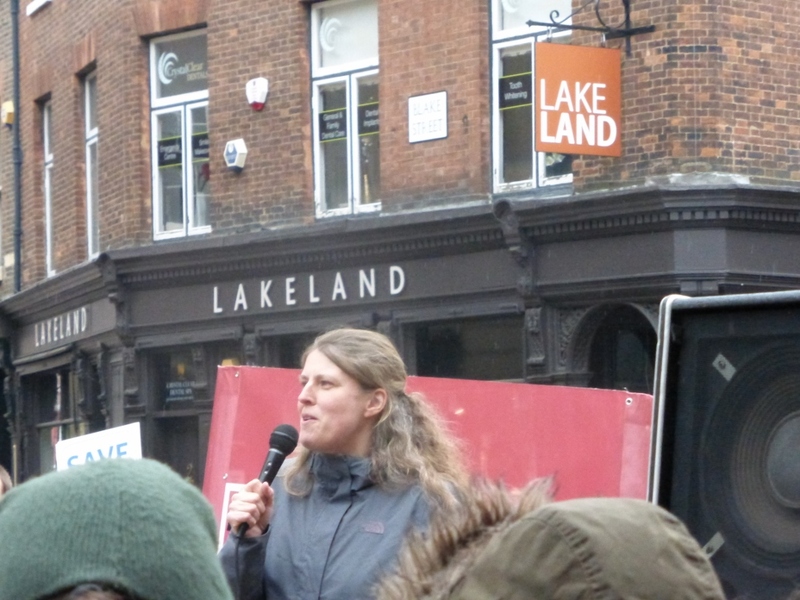 Rachael Maskell MP made an impassioned speech, cut the two birthday cakes and circulated amongst the tables to speak to those attending. She stated that she had a double reason to celebrate on the 5th July as it was her birthday too, as well as being personally thankful for the NHS. 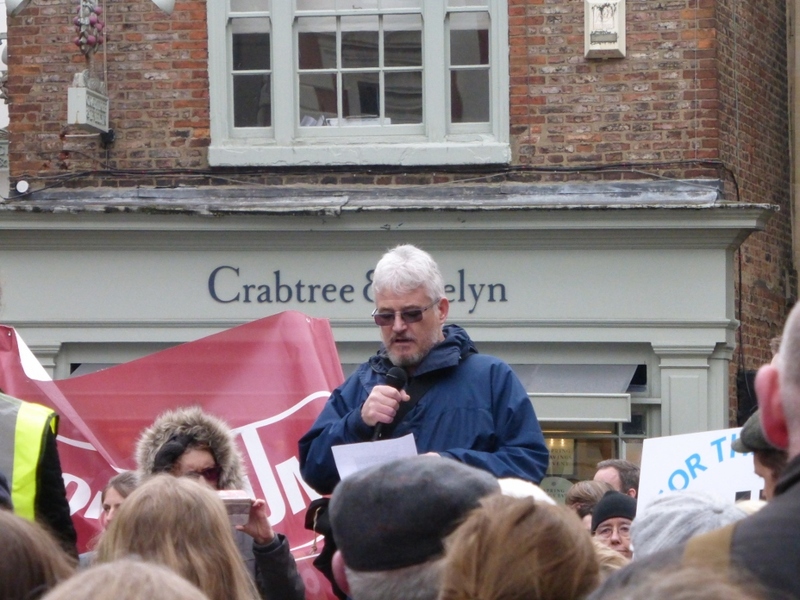 Although Defend our NHS York has been campaigning for the National Health Service since 2009 we were pleased that York CLP has finally initiated an action to defend it. 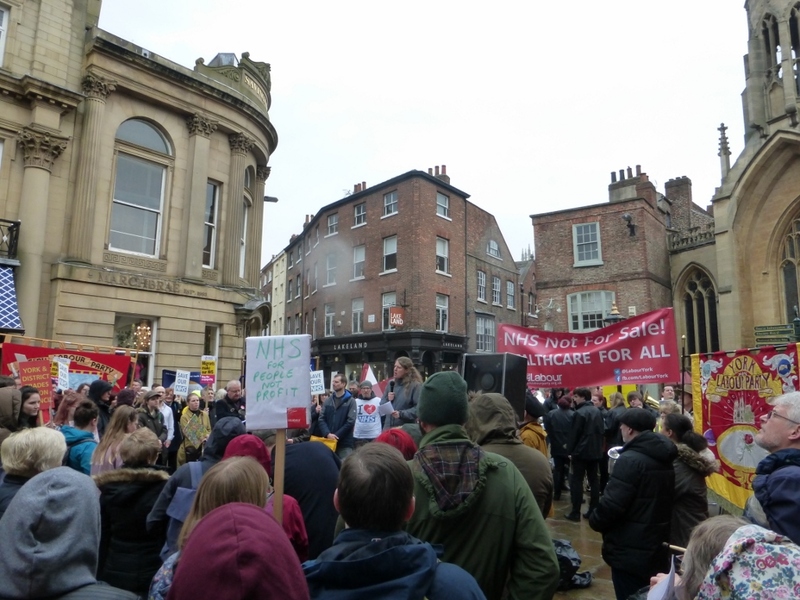 We have held several marches in the City over the years, along with meetings supported by the Labour Party, our current MP Rachael Maskell and Trades Council but finally our small group is seeing a coming together of other bodies to help as it approaches its 70th birthday and death throes as a result of a thousand cuts. None of us are immortal. None of us are immune to sickness or health problems. That’s why the Labour Government established the NHS in 1945, to ensure the most up-to-date health care is delivered according to people’s needs, when they need it, free at the point of use. Seventy years later the NHS is in crisis. Years of Tory austerity and privatisation has brought this precious lifeline and our whole social care system to their knees. 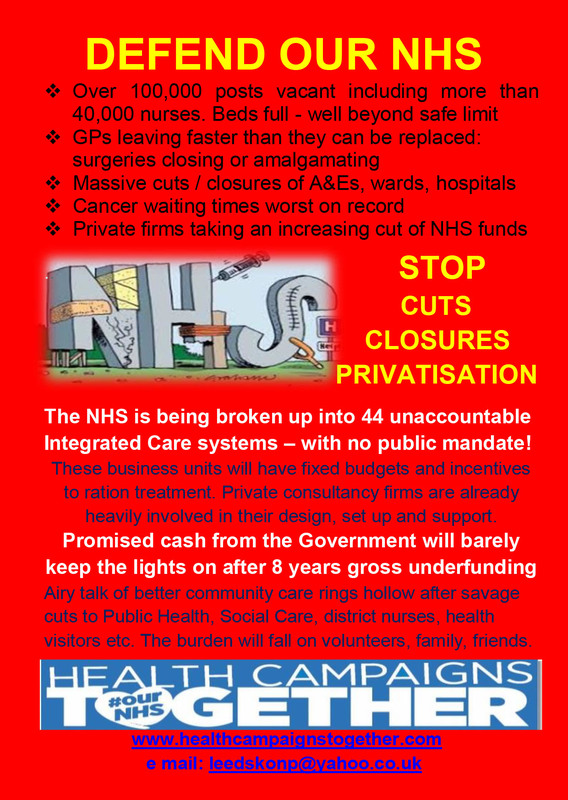 Now we need to stand up for the NHS. – Setting an emergency budget to solve the initial spending crisis through a massive injection of funding. – Training thousands of new doctors, nurses and other health care professionals to tackle chronic staffing shortages. 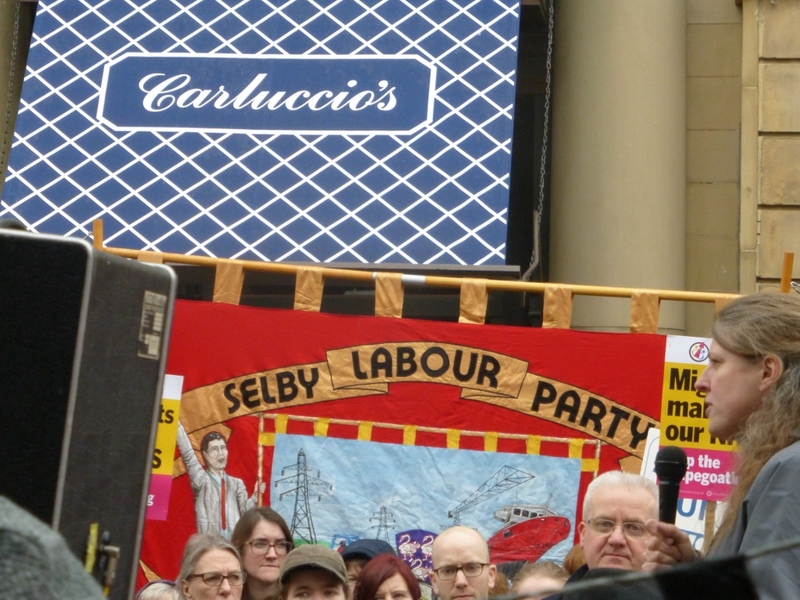 – Ending decades of privatisation and wasteful PFI schemes. 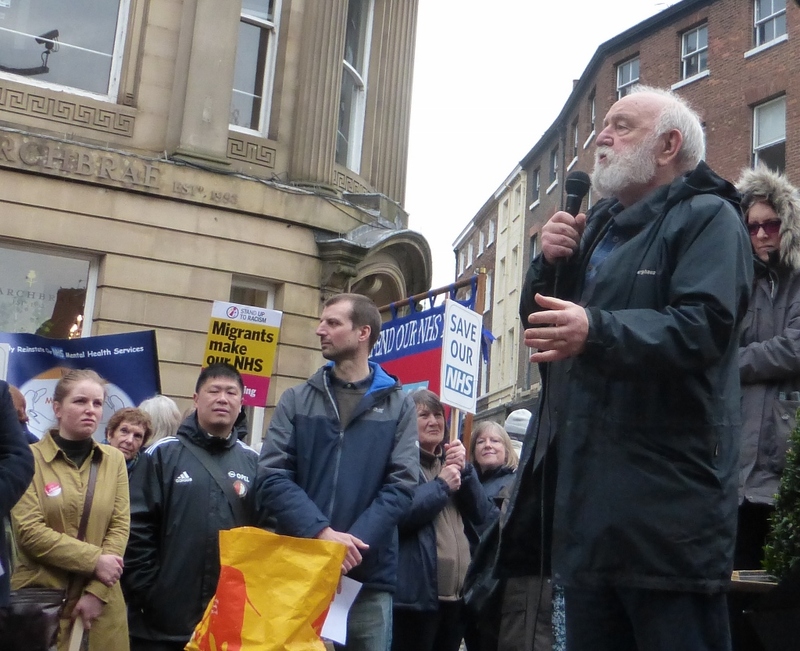 – Investing in our social care system on a local level so that it works effectively with the NHS. – Funding our mental health services properly so this vital area of care is no longer neglected. 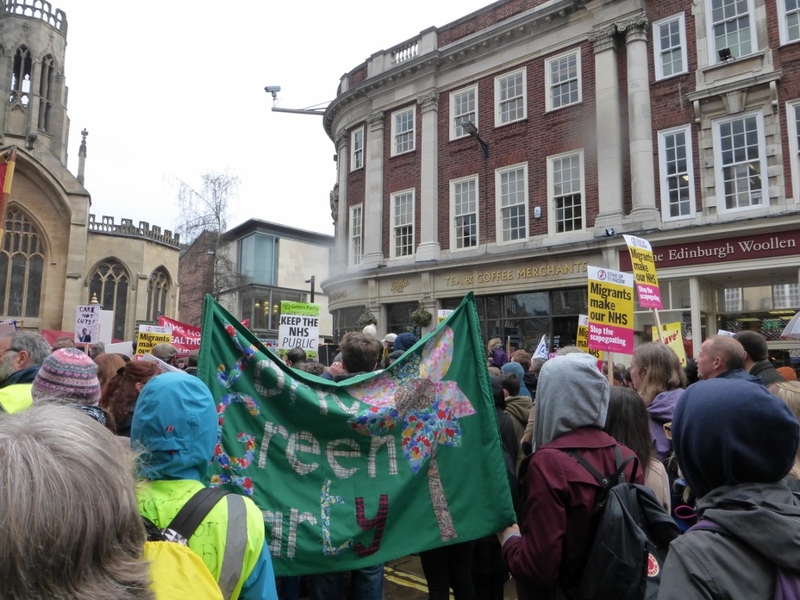 – Come to the demonstration in York on 7 April. 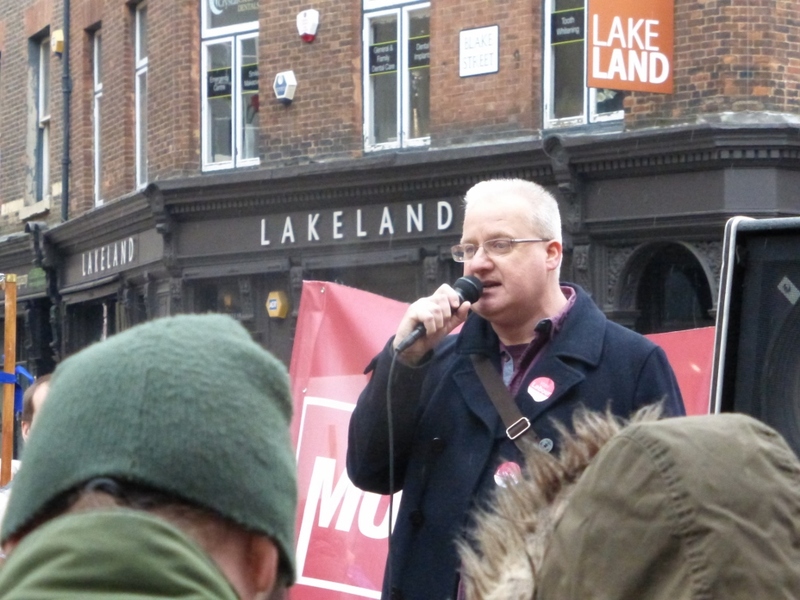 – Join the Labour Party to build a kinder, more equal Britain. Please like, share and spread the word!